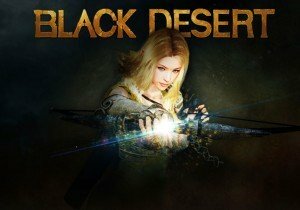 A free update is coming this week to Black Desert for all players that will bring Rabam’s Enlightenment to all fifteen classes. This is a new feature for characters level 56 and above on the skills page, provided they have the skill points to attribute to the Enlightenment. Another requirement is that players will need to have unlocked the subsequent skills and sub-skills first. Through Rabam’s Enlightenment, two main skills can be combined into a greater and more powerful skill. A Warrior class can, for instance, combine the Ground Smash with the Ground Roar skill to create Seismic Strike and a Striker can mix Flow: Mass Destruction with Flash Step, creating Flow: Back Step. The second phase of Rabam’s Enlightenment will arrive next week when new skills become available. These skills have a level 57 requirement and will offer even more customization. In this phase, all classes will have a total of two new Rabam Skills. There will also be a new feature coming in the form of Team Battle. Requiring at least 10 participants to commence, and two teams will be formed automatically based on their total sum of AP and DP (The total AP + DP of each participant will decide their teams, with the 2 players of the highest total, 2nd highest, 3rd, 4th, and 5th being split into each team automatically). The player with the highest stats will be the team leader, and once teams are formed, players will compete in a best of three series of battles. The first and second rounds are 1 vs 1 matches where the team leader chooses which team members are entering the fight. The combat takes place in a small ring made up from NPC soldiers. Moving outside this ring will risk disqualification and forfeiting the match. In case of a draw, a player’s remaining HP bar will determine the winner. After the second round, if the score is tied, there will be a third decisive deathmatch round in which all 10 players participate.